Self with confidence. Buy with clarity. 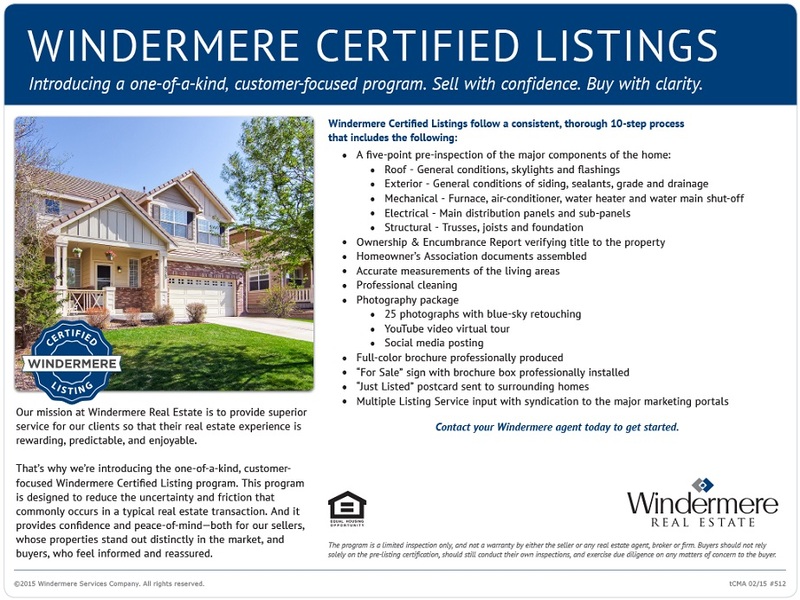 Our mission at Windermere Real Estate is to provide superior service for our clients so that their real estate experience is rewarding, predictable and enjoyable. Similar to buying a certified pre-owned vehicle, the program includes a pre-inspection of each listing before it ever goes on the market. With the pre-inspection in hand, the seller can decide how to handle certain repairs and then be transparent with the buyer as to the exact condition of the home.